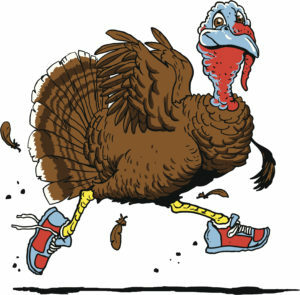 No worries–you won’t look like a turkey at the Twin Rivers YMCA Turkey Trot! The holiday season is just around the corner, and a great place to celebrate Thanksgiving weekend is in New Bern. I love this time of year in New Bern. The entire town magically lights up into a winter wonderland. The weather brings clear, sunny days and crisp, chilly nights (a good reason to snuggle up with loved ones). The perfect way to start the impending 3,000-calorie Thanksgiving Day is to participate in the 11th Annual Twin Rivers YMCA Turkey Trot. The fun begins Thursday at 6 am at Taberna Golf and Country Club. The 5K route is great for the entire family, and you can bring strollers and leashed dogs. While the 10K isn’t my speed, there is one for those competitive runners out there. They even have a Phantom Racer category. You just must have the T-shirt but cannot make the race (or just want to stay in bed). The cost is reasonable, and the proceeds benefiting scholarships is definitely worth it. Click here for all the details. 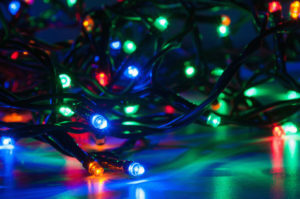 New Bern lights up downtown at Light Up the Season on November 23 and the Annual Tree Lighting on November 24. Once you make a nice dent into your holiday shopping on Friday, it is time to gear up for Beary Merry Christmas. The month-long festivities begin at 4 pm with “Light Up the Season.” The town officially welcomes Santa, and Bear Plaza is beautifully illuminated with thousands of lights. The block party takes place along Middle Street and will include holiday music, dancing and kid’s crafts. Downtown shops will stay open late for even more shopping, and perhaps you’ll buy yourself a gift! Then, on Saturday, the community will come together again for the holiday tree lighting at Broad and East Front Streets at 4 pm. New Bern is indeed a magical place, all-year long. For Thanksgiving weekend, it is truly a place to gobble up great fun!